BabyFirstTV Emma the Elephant Plush Toy Just $14.93 (Reg. $25.97)! You are here: Home / Great Deals / Amazon Deals / BabyFirstTV Emma the Elephant Plush Toy Just $14.93 (Reg. $25.97)! If you are looking for a great baby shower gift idea, check out this great deal! 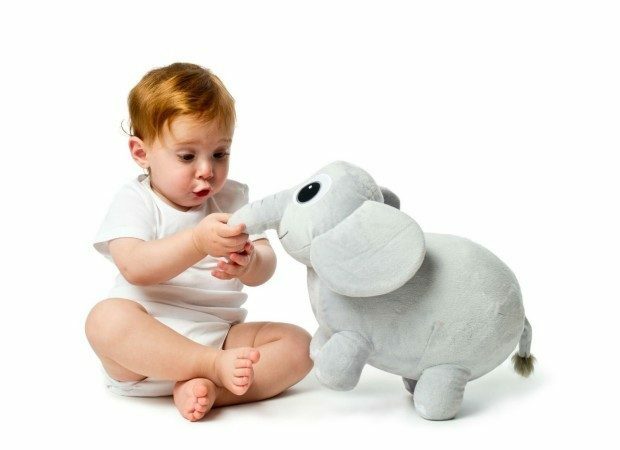 You can get this highly-rated BabyFirstTV Emma the Elephant Plush Toy for only $14.93! Look who’s here for a playdate with your baby! Emma the Elephant from Tillie Knock Knock is now available as a soft, huggable plush toy. This little friend is the perfect addition to your baby’s plush toy collection, and available only on BabyFirstTV.com Emma measures 10 inches x 6 inches x 12 inches.